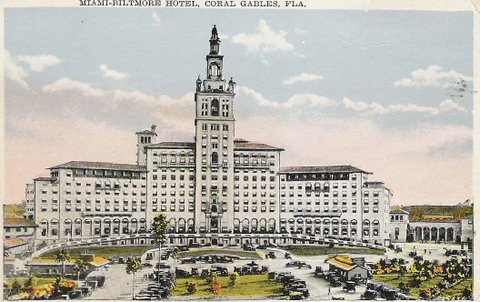 Most Florida historic hotels, with some exceptions, were built in the boom days of the early to mid 1920s. 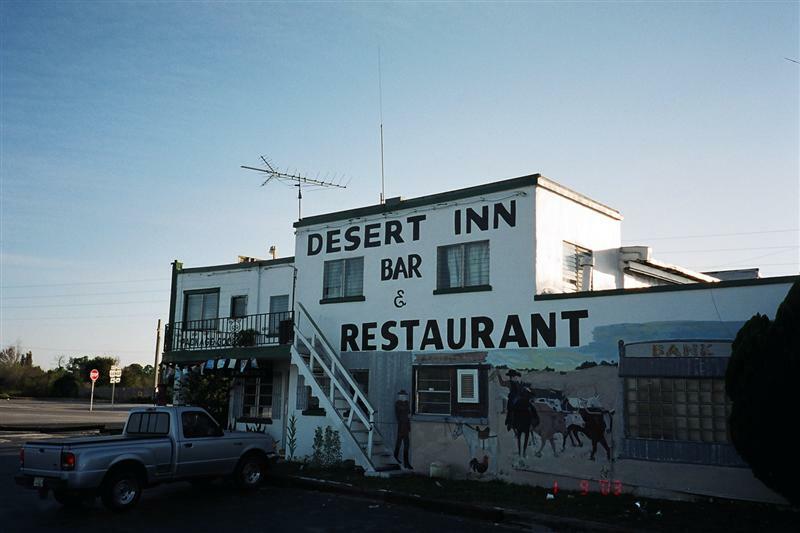 Many of them were masterpieces of architecture of that golden era; many of them also deteriorated over the years as more modern motels and hotels popped up all over Florida. 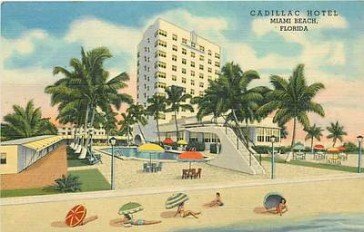 Thanks to good old capitalism and the huge population explosion in Florida from the 1950s until now, many of these grand old ladies have been renovated and can stand up to any luxury hotel or motel in the state. You can't go wrong staying at one of these great old places. All of them are on the U.S. National Register of Historic Places. This masterpiece was built in 1926 as the centerpiece of George Merrick's magnificent new town of Coral Gables. It has been totally renovated and is once again the centerpiece of this beautiful city. Henry Flagler built the hotel in 1896 to accomodate travelers on his new Florida East Coast Railway. It has been rebuilt and restored over the years and is a magnificent luxury hotel. CASA MARINA HOTEL, Jacksonville Beach. This small elegant hotel and restaurant is on the Atlantic ocean and was built in 1925. It has 23 bedrooms and parlor suites. This is a beautifully renovated luxury hotel originally built in 1888. It is one of the hotels listed in the National Trust Historic Hotels of America. It is located in the heart of downtown St. Augustine, which is a historic district all by itself. The hotel was originally known as the Cordova. 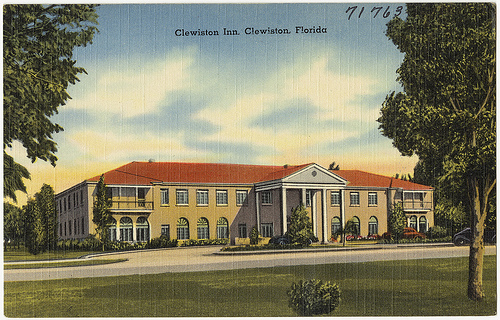 It served as a town hall for a while, was shut down, but now it is a gem among Florida historic hotels. 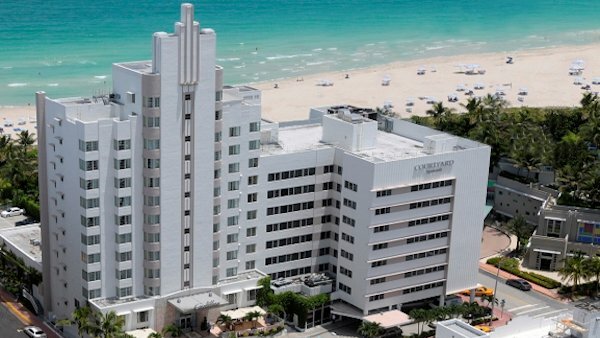 This hotel has been beautifully renovated and is now a Courtyard (Marriott Miami Beach Oceanfront Hotel). 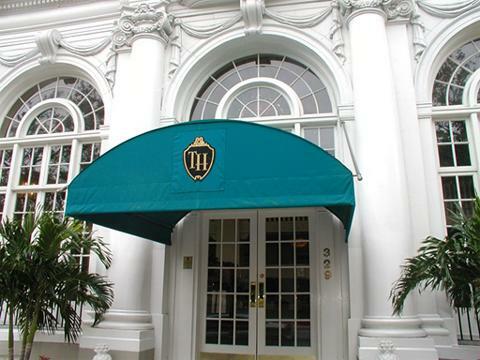 One of our favorite Florida historic hotels. This luxury hotel is just north of the famous Worth Avenue and its fabulous shops. It is a short walk from the beaches. The Chesterfield is a local architectural icon and has existed over the years under several different names. Today it is an example of English charm and upscale service in one of Florida's wealthiest towns. This is probably the most modest hotel on this list. Yeehaw Junction is an exit on the Florida Turnpike. There are a few modest rooms on the second floor and a restaurant with good chili and beer on the ground floor. Check it out before you go; sometimes it's not open. 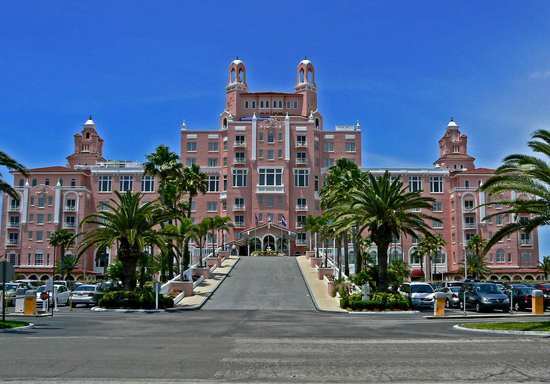 DON CESAR HOTEL, St Pete Beach. 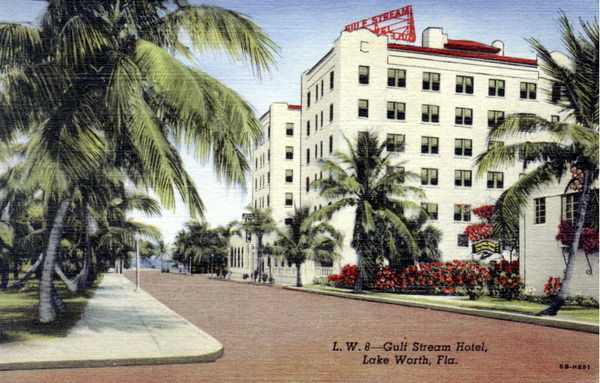 This large 277 room hotel was built in 1928 on the Gulf of Mexico in the Pass-A-Grille area south of St Petersburg Beach. It is operated by Loews Hotels. One of the most magnificent of Florida historic hotels. 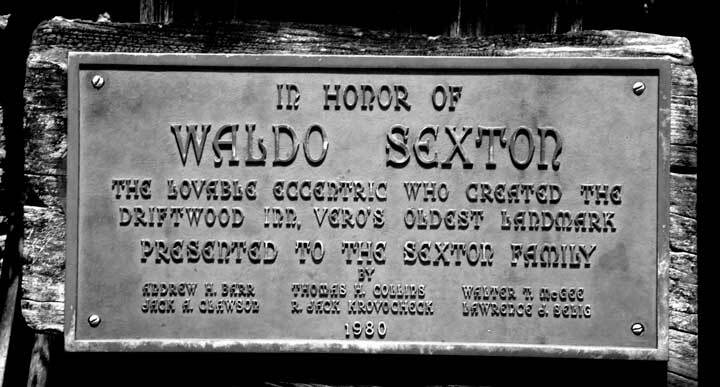 This legendary resort was started by Waldo Sexton in the 1930s. He got the place started with driftwood he found on the beach, and over the years he just kept adding to the buildings. It's modern these days, but the old beachy seaside charm is still strong. Rebuilt in 1938 and owned by U.S. Sugar Corporation for many years, the hotel is under new management and is doing well. Great Friday night fish fries; close to Lake Okeechobee. FLORIDA HOUSE INN, Fernandina Beach. 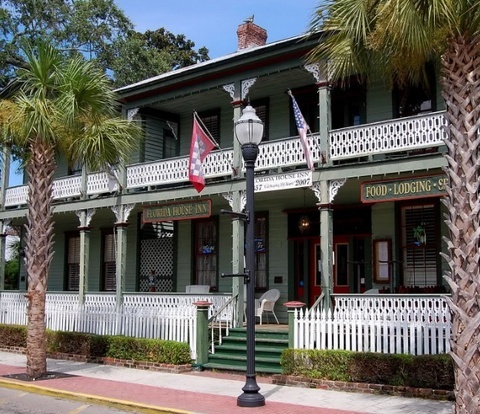 This 17 room inn is in the heart of Fernandina's historic district. It was built in 1857 and claims to be the oldest continuously operating inn in Florida. This hotel was built in 1926, and was carefully restored and reopened in 2012. Architect Morris Lapidus designed this modernistic hotel and it was built in 1954 and is still considered an architectural wonder. 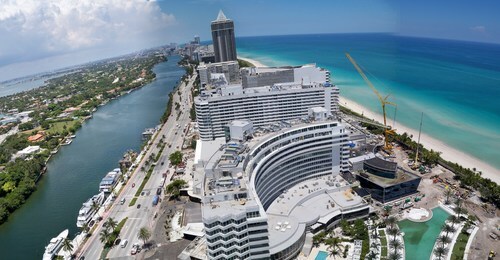 It is on prime Miami Beach oceanfront, and has the complete range of spa and luxury facilities. 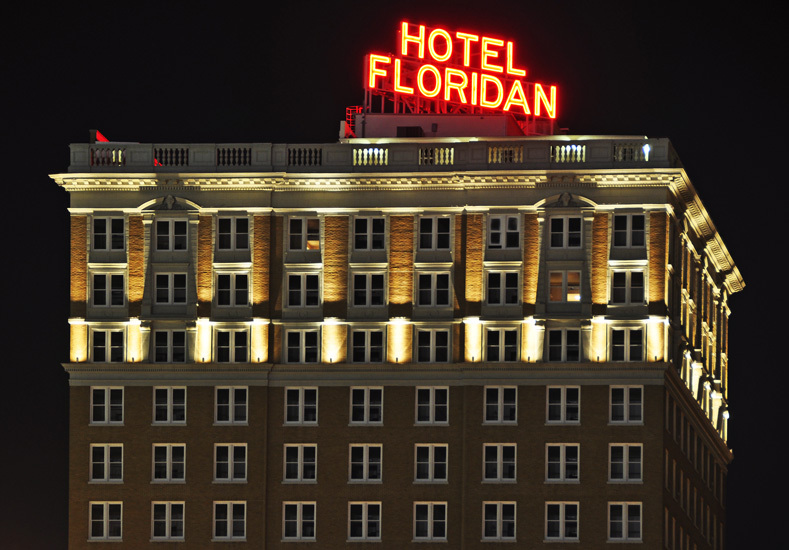 It has been featured in countless movies, and is arguably the most famous of Florida historic hotels. Boca Grande was once a favorite hideaway for the rich and famous in the days when the megawealthy traveled in their own railroad cars. 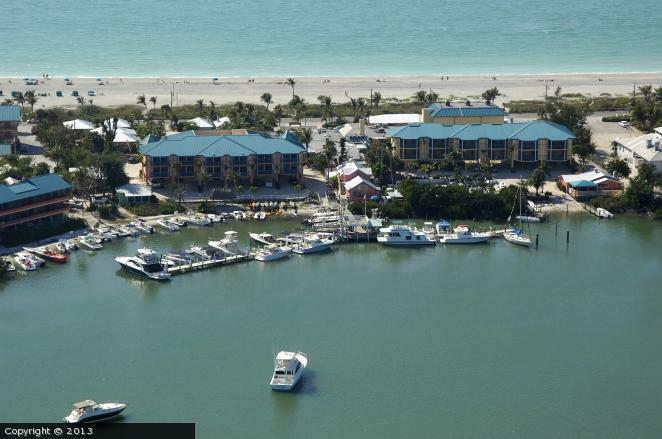 The Gasparilla Inn dates back to those days; it originally opened in 1913. In addition to being a favorite vacation place for the late President George H.W. Bush, other famous guests have included Henry Ford, Harvey Firestone, Thomas Edison and Katharine Hepburn. This historic hotel was opened in 1923. It is not directly on the ocean, but it's a short walk away. It is in the process of being renovated (as of November 2016) and will hopefully be reopened soon. It is close to shopping, entertainment and golf. 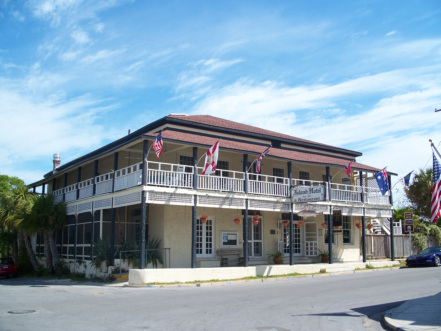 This ancient inn was opened in 1859 during the heyday of Cedar Key. Things are quieter today, but there is still plenty of good dining and shopping in town, and you are very close to good seafood. The Island Hotel has only 10 rooms, so it's really more of a bed and breakfast than a hotel. The restaurant is on the ground floor. 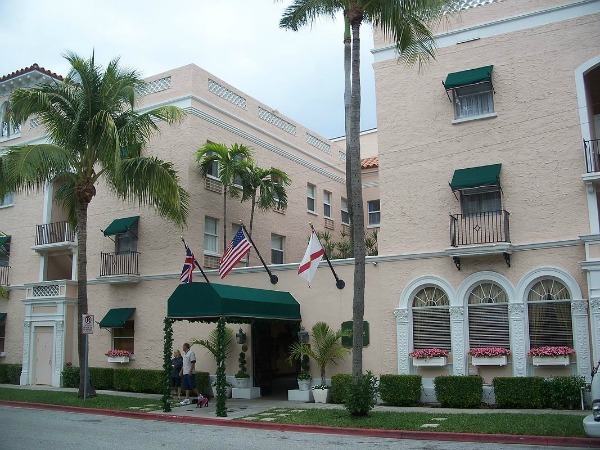 The hotel opened in 1926 and is one of the oldest continuously operating hotels in Florida. It is in downtown Avon Park on The Mall. Some of its famous guests include Babe Ruth, Clark Gable, George Burns and Gracie Allen. This historic hotel has been in business since 1883. 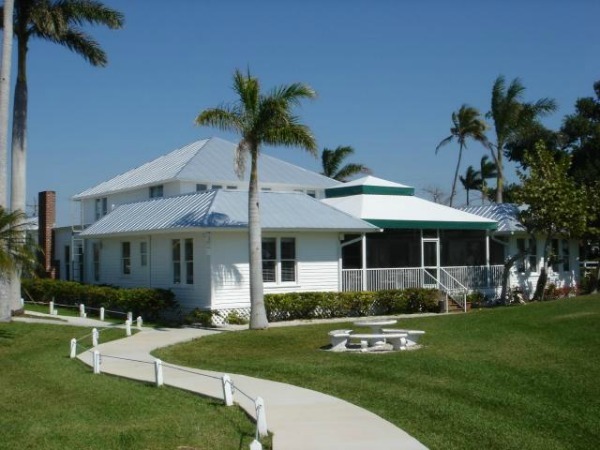 It is on the east shore of Lake Dora with a fantastic view of sunsets. 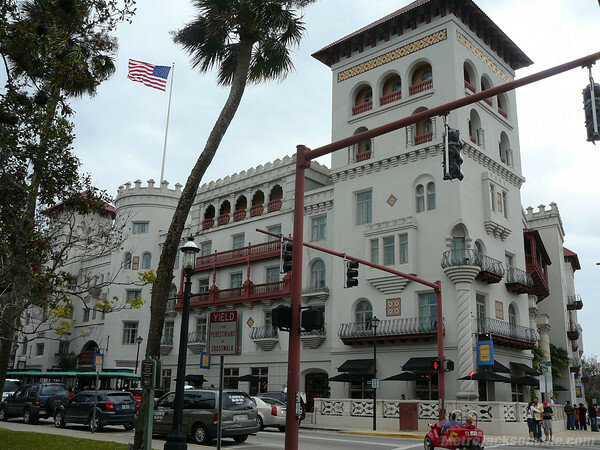 New owners, Jim and Alexandra Gunderson, have been steadily renovating rooms and are dedicated to preserving this oldest continuously operating example of all Florida historic hotels. 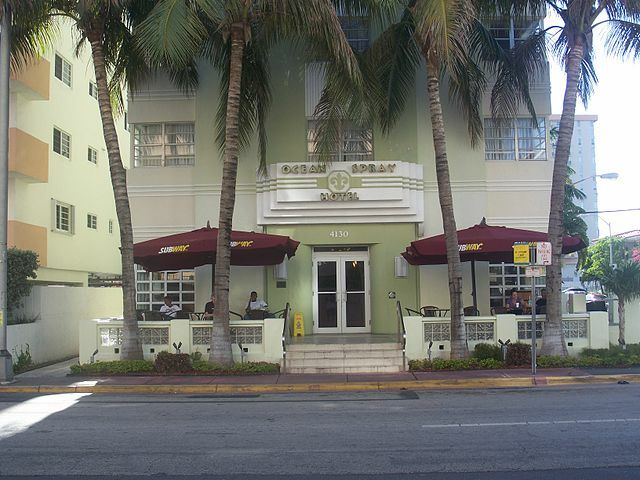 This renovated art deco botique hotel is on Collins Avenue in the heart of South Beach. It was originally built in 1937. It's close to the beach and everything else. This small historic hotel was built in 1927 by railroad man S. Davies Warfield. He was one of the early pioneering developers in this part of Florida. His niece was Wallis Warfield who helped him host parties. She married well a couple of times and became famous as the Duchess of Windsor. Many years ago this inn was known as Pine-Aire Lodge. It is on the west side of Pine Island. In addition to the first class lodging, the restaurant is also great. 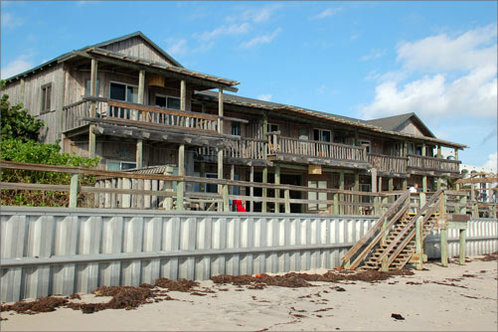 This beautiful inn between the bay and the gulf was established in 1931 with a single building. It has expanded over the years with modern rooms, but there are still many historic structures on the resort property. VINOY PARK HOTEL, St. Petersburg. 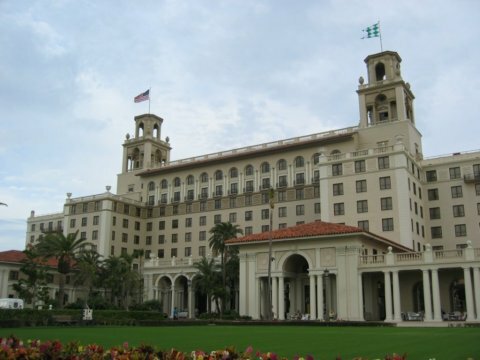 The magnificent Vinoy was built in 1925. It fell on hard times but has been lovingly restored. It is now operated as the Marriott Renaissance Resort and Golf Club. 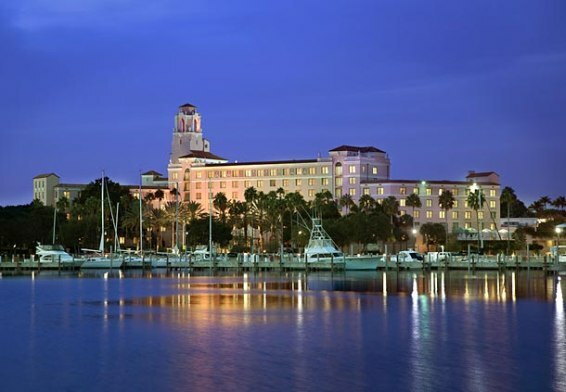 It is in the heart of vibrant downtown St. Petersburg, close to the museums, theaters, restaurants and marinas that make this a great town to visit. This hotel was built in 1924 and restored to a luxury hotel in 1998. It has 73 guest rooms and 15 suites. 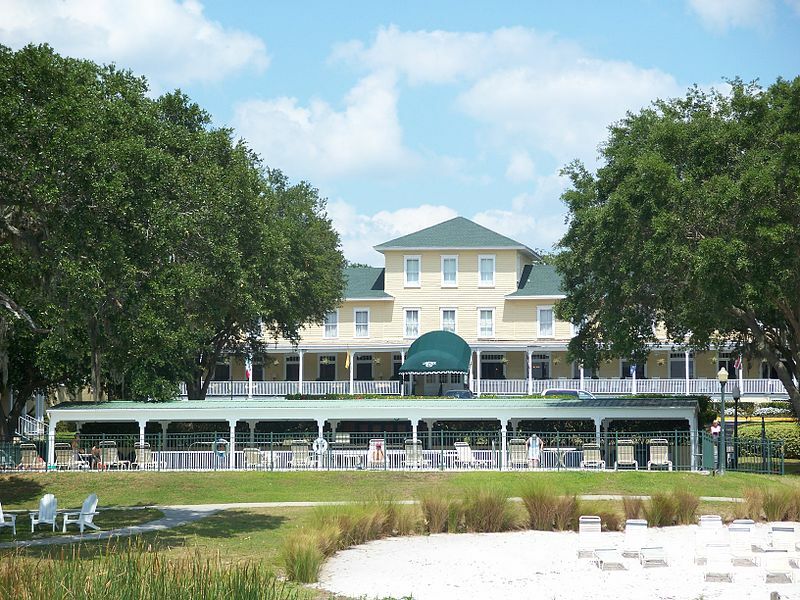 The hotel has a commanding view of Lake Mirror, a gem of a lake in downtown Lakeland. 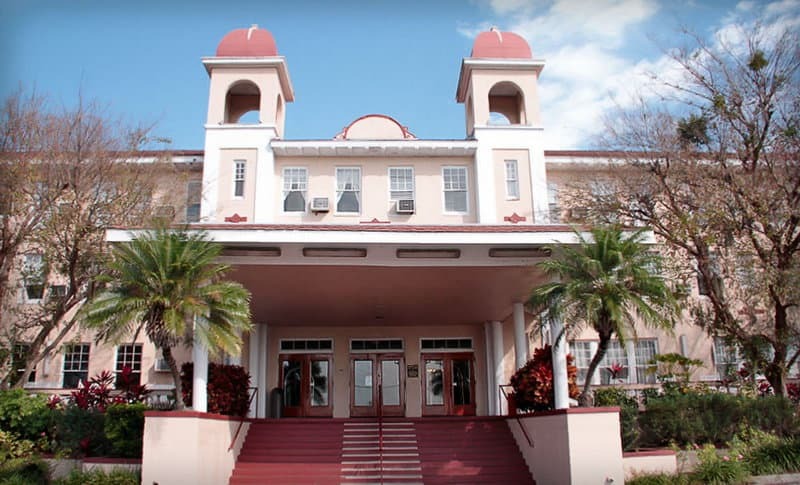 These hotels are but a few of the 1,700 properties structures listed on the National Register of Historic Places in Florida. 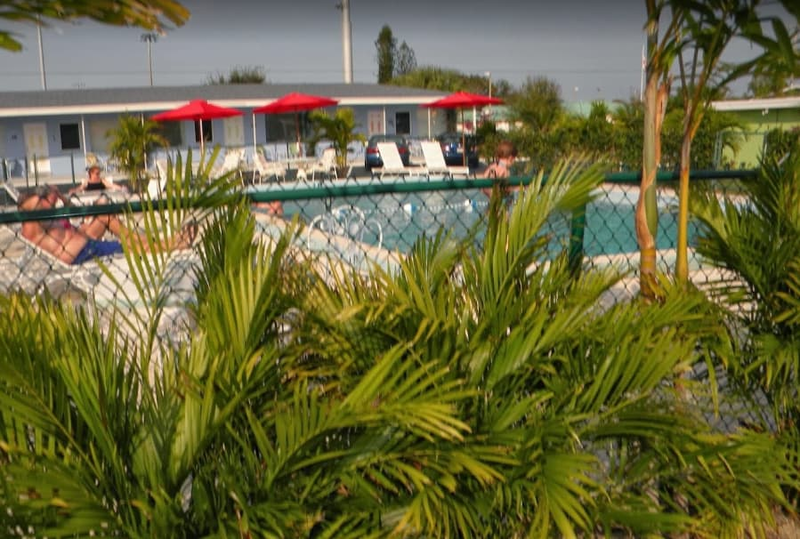 Although not on the National Register of Historic Places, there are many smaller mom and pop motels, lodges, and inns that are vintage Old Florida but have been renovated and offer modern amenities.